In honor of IBS Awareness Month, we’re going to discuss what IBS means. Living with IBS can be frustrating, painful, and exhausting. Knowing the symptoms, and how to properly treat your symptoms can improve your life tremendously. If you, or someone you love, is suffering from upset stomach, or frequent stomach aches it may be IBS. Irritable Bowl Syndrome (IBS), is often a chronic, debilitating, gastrointestinal disorder. It has many symptoms including bloating (or distention), abdominal pain, constipation or diarrhea, and gas pains. It is frequently explained as a functional disorder, which means that the movement or function of the bowl is not performing properly. Unfortunately, there are no medical tests specifically designed to diagnose IBS. Therefore, it can be difficult to determine or confirm the diagnosis of IBS. However, IBS is the most common gastrointestinal condition throughout the entire world. It is always best to see a gastroenterologist to treat, discuss, and monitor your IBS symptoms. IBS symptoms can begin as early as childhood or early adolescence. Sometimes, symptoms of IBS do not appear until adulthood. One of the frustrating aspects of IBS is that it can come and go. Many patients live in fear of their IBS, because symptoms can hit at any time. 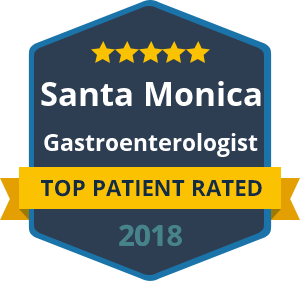 IBS can be challenging and seeing an expert gastroenterologist, such as Dr. David Yamini in Santa Monica, is crucial to successful long term care. Each and every person and patient experiences their IBS symptoms and pain different. Dr. Yamini provides his patients with a unique and custom treatment plan for IBS. Seeing a gastroenterologist also rules out other conditions, such as colitis, small intestinal bacterial overgrowth, tumors, and more. IBS can easily be confused with colitis or other inflammatory diseases. 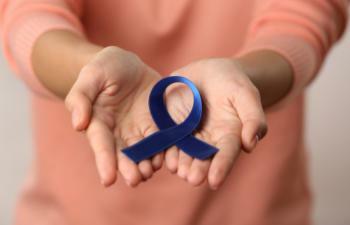 Celebrate IBS Awareness Month by taking care of your digestive health! Schedule an appointment with Dr. Yamini today (310)285-3005! We look forward to seeing you soon.